Mounted Games is a type of Equestrian competition which encourages riders of all ages and abilities to compete. The games have an emphasis on speed, as the first rider to complete the 60 metre course is the winner. However, the games also test the rider's horsemanship skills, hand-eye coordination, agility and teamwork. The games vary from speed to agility and accuracy with competitions for individuals, pairs and teams of 4-5. Mounted Games is a good alternative to other Equestrian clubs as there is no age limit, therefore, encouraging people to continue riding into their senior years. 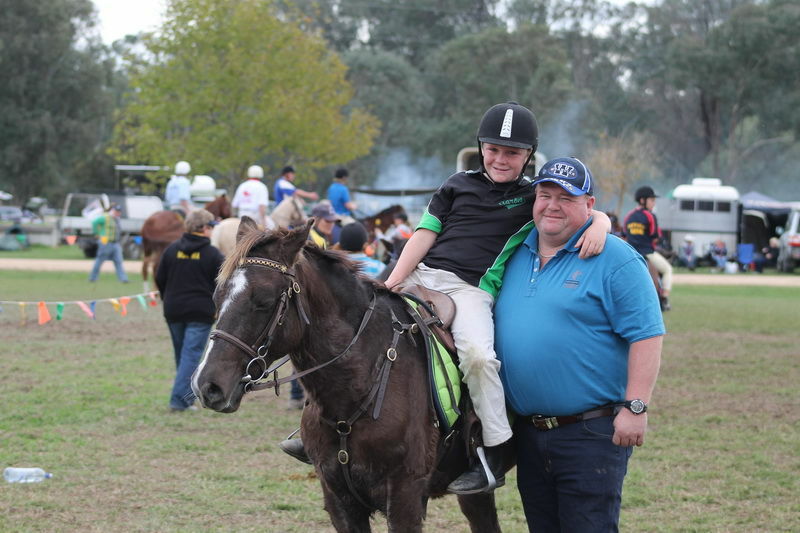 The NSW Mounted Games Association has a big emphasis on family fun with mums and dads regularly competing with their children. You do not need any experience to compete in regional Mounted Games competitions as riders are divided into groups based on age, experience and ability. We also conduct regular training clinics where experienced coaches and riders share their knowledge with new riders and help to hone the skills of more advanced members. The Australian Mounted Games Association is the parent body of MGA NSW. There are also branches in South Australia, Western Australia, Queensland and Victoria. Click on the button below to view the Australian website.